Colm’s Life Pharmacy and Health Food Store will look after all your prescription and health care needs in its modern pharmacy with its own private consultation room. Located in the heart of Salthill, we offer a fresh approach by providing consumers with convenient solutions, a personalised service and top rate advice in one location. 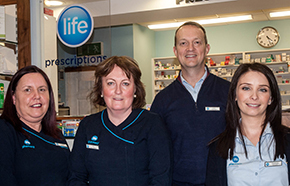 As part of the Life Pharmacy group, we endeavour to offer you premium health care products and services as well as advice for living well. 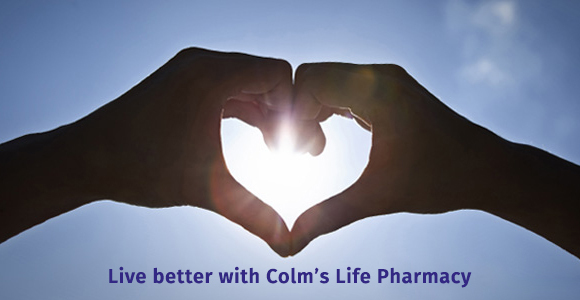 Colm’s Life Pharmacy aims to help customers take more control of their own health, by providing health advice and services so they can make better informed health decisions. We have just launched our own loyalty card, sign up online or instore.